Trying to find the best dry cleaning service in your area can be a difficult task. While some may boast about their cleaning process, others have finally sparked a debate – only 24 percent use real dry cleaning methods. 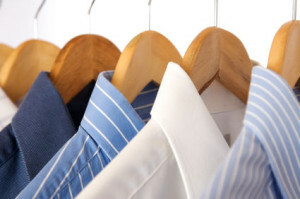 This means that your suit or clothes were never truly dry cleaned. While this may not make a difference to some, it is purely unethical to others. Sometimes, a simple wash is all that is given to your delicate items. However, there are a few tricks to find the best dry cleaners at the absolute best price. The fastest way to find a reputable company in any sector is to search through the reviews that they have online. These are reviews given by others that will allow you to judge just how great the company’s service truly is. If a company has a lot of complaints against them, it would be a good idea to simply find someone else that will be able to handle your needs. Sometimes, you will not know what to expect from a new company. In fact, we highly recommend that you stay clear of chain cleaners as they tend to neglect their customer service far more than smaller stores. By bringing in an item that you truly do not cherish, you can test their service before bringing your expensive suit or gown to them. Inquire with your chosen dry cleaner what specialty fabrics they will be able to handle. Oftentimes, some service providers will work with only suits. Others, however, may only work with expensive dresses. It is important to know what options are open to you when searching. If you have delicate fabrics, such as silk or expensive items that need cleaning, it is always important that the company chosen is filled with praise from their previous clients.